Since graduating from my undergraduate degree, I completed the MSc Social Research Methods programme at the University of Plymouth to develop my quantitative, qualitative and evaluation skills to further my career in research. I have additionally worked as a Research Assistant for SERIO, an applied socio-economic research unit working across a portfolio of applied research projects alongside other researchers. I gained many strengths and skills, including interviewing, survey analysis, use of software packages and report writing. The experience gained within SERIO aided me to progress my future career, in which I am now conducting a PhD within the Peninsula Schools of Medicine and Dentistry. Over the next three years, I will be undertaking 'a realist evaluation of appraisal of doctors', in which I will utilise my skills to conduct a realist review, stimulated recall interviews and logical realist analysis. This will provide a fundamental insight into how appraisal is supposed to produce its intended effects and ultimately change clinical practice. The biggest highlight within my sociology degree was going to The Gambia to learn about different cultures and to undertake some research involving the local people. My research was topical as it focused on the consequences of the Ebola outbreak in the neighbouring countries to The Gambia. I focused on the main impact that tourism has in The Gambia and the economic consequences of the outbreak in terms of employment and quality of life. 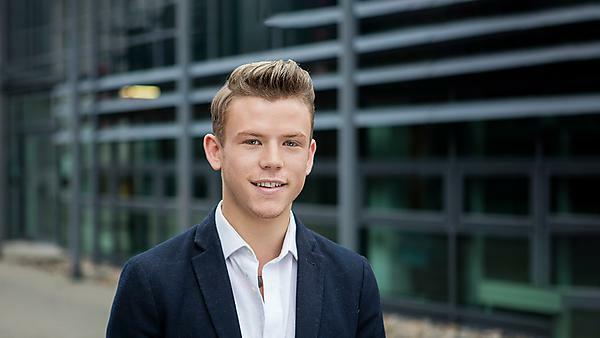 Studying at undergraduate and postgraduate level at Plymouth has helped me beyond any expectation. I have been abroad and conducted my own research, I have developed new skills and critical thinking that is essential for the conduction of my PhD. I feel I have completely changed as a person and I never thought I would achieve the grades I did. The placement that I undertook was at Hamoaze House in Plymouth, which offers support for individuals with problematic alcohol or drug use that want help to change their life. My role during the placement was to observe and participate in group activities, which included solution-focused brief interventions, creative arts and sporting activities, working alongside the adult team members. My main duties consisted of individual assessments, care planning, group co-facilitator and case note recording. All of this benefited me, as it helped me to develop both transferable skills and the personal confidence to meet challenges in the future. I would recommend BSc (Hons) Sociology at Plymouth, as it gives you a detailed understanding of how society functions in regards to the social, economic, and political aspects in our everyday lives. Furthermore, sociological perspectives offer insights about the social world that extend beyond individual explanations. Sociology as a degree provides a range of skills that are a necessity in many careers within contemporary society such as critical evaluation, logical thinking, research skills and problem solving. If anyone is thinking of furthering their academic career, I would highly advise to undertake a postgraduate programme: the opportunities this provides are beneficial to many areas in the world of work. For more information about studying sociology, visit our BSc (Hons) Sociology course page. For more information about our range of courses within the School of Law, Criminology and Government, please visit the school page.